Golden Angel, Clones. Don Egger. 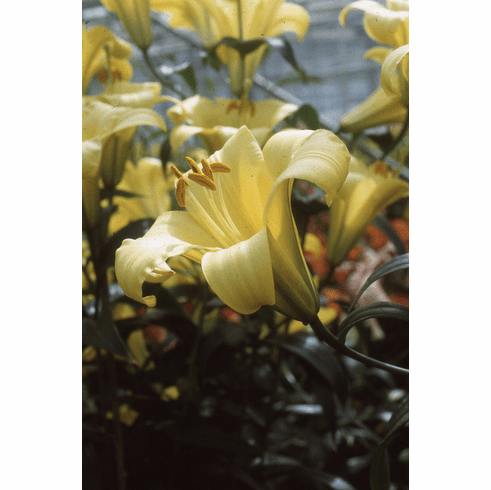 Introduced by B & D Lilies 1998. There were three different clonal selection from the strain originally selected from upfacing 'Golden Splendor' type from the breeding work of Don Egger. Eventually, the clones were all put together to produce a strain.. No parentage recorded and not registered with the RHS. Photo inset is of another of the original clonal selections. Photos B & D Lilies.